Your bathroom mustn't be without this cosmetic mirror - a practical and useful accessory. Depending on your needs, it can be folded in and out thanks to the arm joint. It also impresses with its 5x magnification and convenient switch. 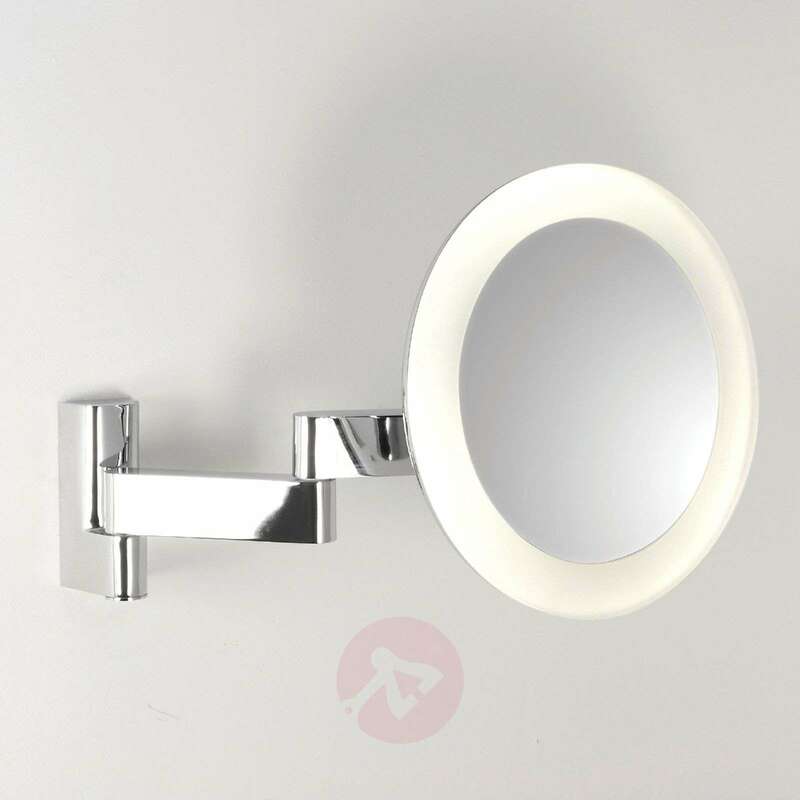 The latest LED technology ensures an even, glare-free illumination and which is also cost-effective. 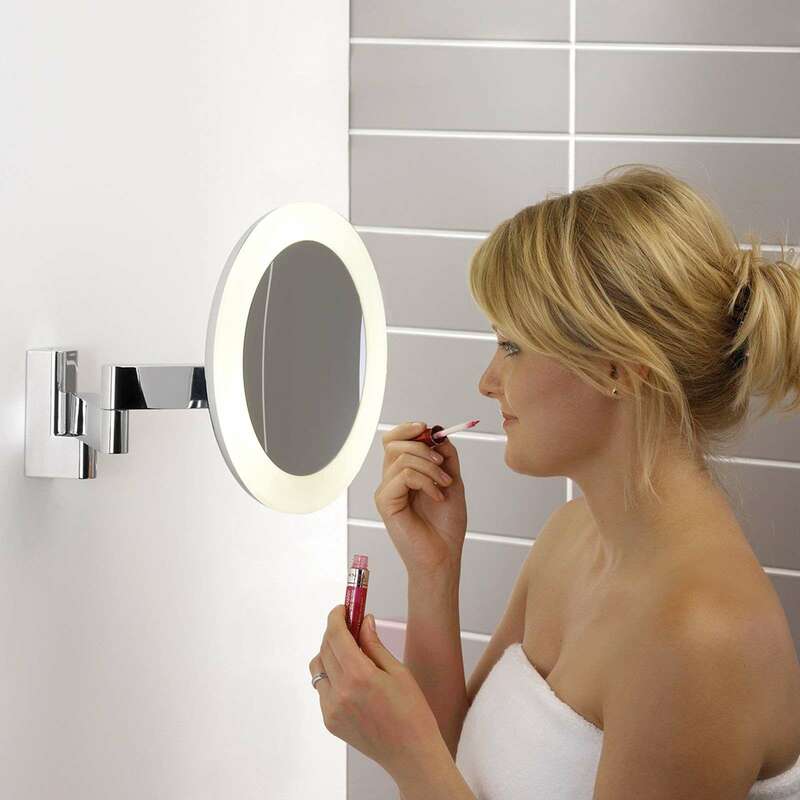 The cosmetic mirror combines modern design with efficiency and functionality.